Template in use: The Department of Motor and Vehicle (DMV) introduced a new design for this id card. 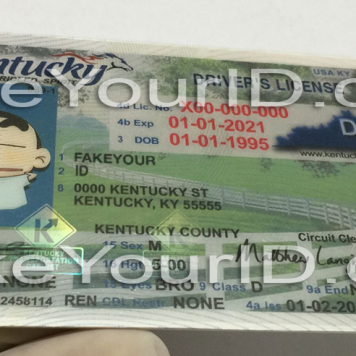 The real identification act prompted a star embedded license to ensure compliance. We are making both templates to cover your requirements. Select ‘Maryland (NEW)’ in our state list of the order form for the new template issued the license and ‘Maryland (OLD)’ for the prior id. A laser-engraved ghost image locates at the right top of the card. The date of the birth present on the right bottom comes with Tactile printing. An Inventory control number prints on the back. 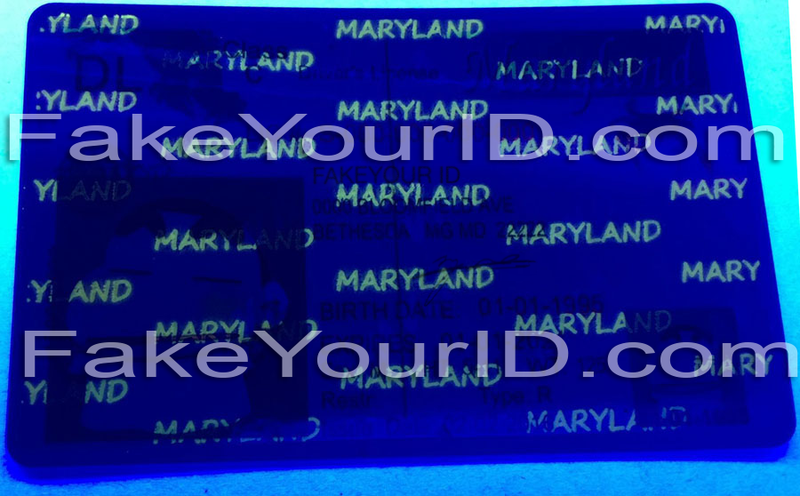 A duplicate full colored ghost photo the license holder is present on the left bottom of the card. 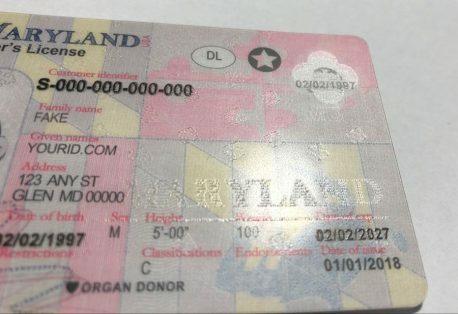 The license number is of 12 digits following with a letter. 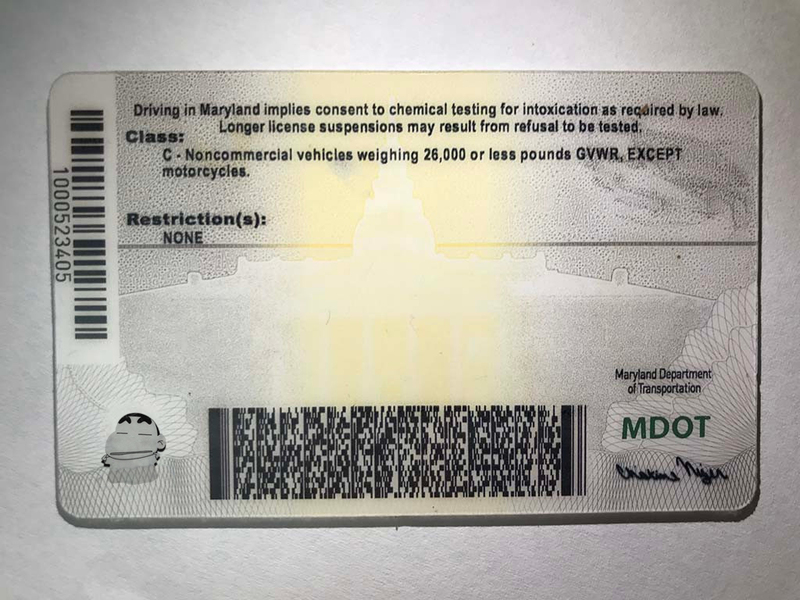 The new license has a ghost image, state map and ‘MARYLAND DEPARTMENT OF TRANSPORTATION‘ printed in UV ink on the back. 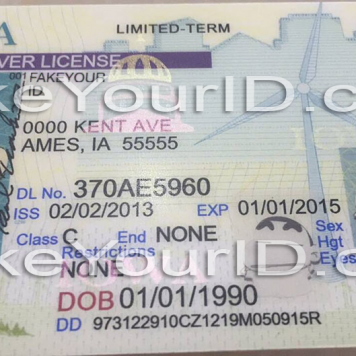 The older look has the ‘MVA‘ pattern repeats throughout the front of the card. It comes with the date of birth in red font. The signature of the cardholder duplicates on the photo of the license holder. 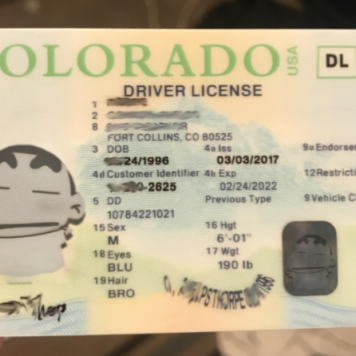 The DOB repeats on the ghost image of the original picture. 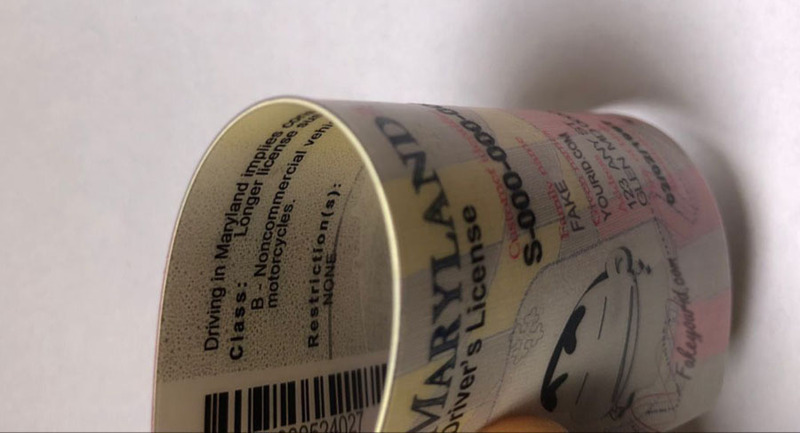 It comes with the state name “MARYLAND” in ultraviolet ink. 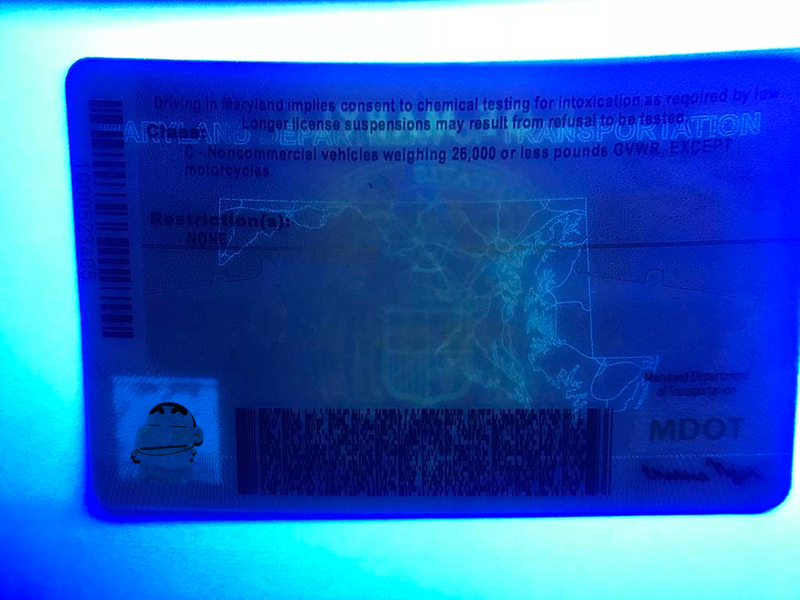 The card comes with two-dimensional barcodes on the back. 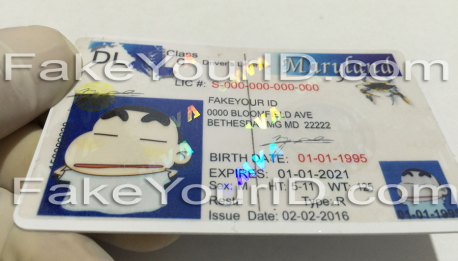 The back of the card in the center comes with variable colored printing which allows texture change. 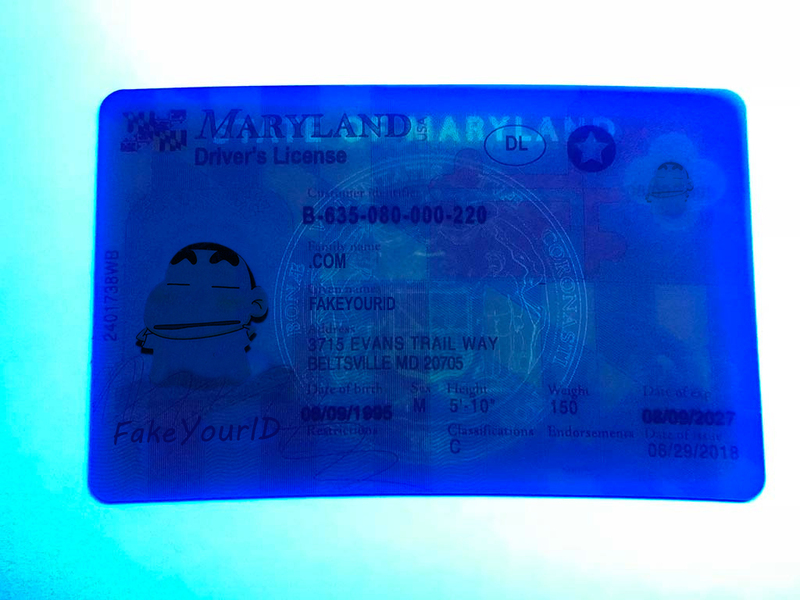 A scannable barcode which contains the cardholder’s frontal license information to pass it to scanning devices. 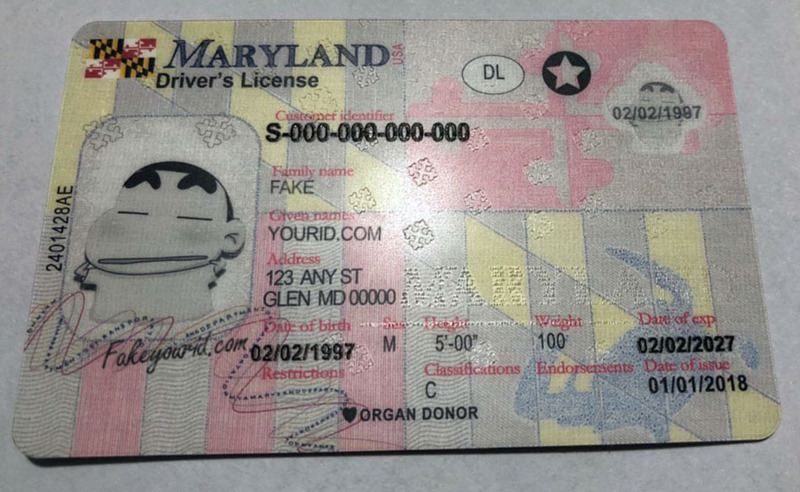 This state has a significant number of orders among the phony id fraternity. The laws of Maryland do allow parents to allow knowingly underaged kids to get drunk at in-house parties. But some events where kids hurt themselves after getting wasted with liquor has stricter the laws on this relaxation as well. Each three out of ten orders that we get on our website are for this state’s identification. This license passes in and out of state. 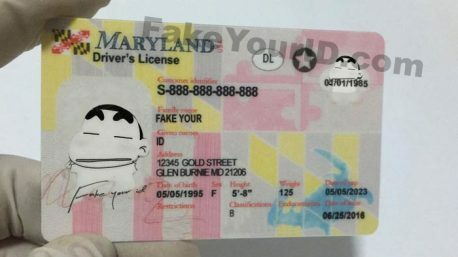 The Scanning success of our Maryland fake id depends on a number of factors.